The US is the best place for work, and if you are wondering about the ways to end up being there, there are some of the visas that you can check for immigration. The United States Citizen and Immigration Services (USCIS) have been very staunch towards allowing migrants to immigrate to this country. You must have excellent knowledge about the visas which allow the movement to happen, but only good immigration consultants can help you figure out the best visas that you can avail for movement. In the first place, let’s look at some of the visas that you can avail for streamlining the movement to the immigration hotspot! It is a temporary residence visa that allows a foreign worker in the managerial, executive and specialized knowledge level to help skilled workers to move to the nation. This visa is a specialized type of visa and it can only be sponsored by the petitioner. In case of employees, the employer is the petitioner and they can petition the visa for movement. 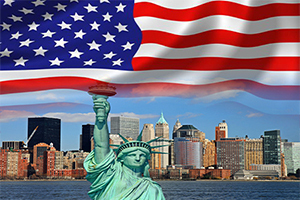 It is an extended form of the L1 Visa, and under it the spouses of the L1 holder is allowed to work in the USA. Under the L2 Visa the spouse of the L1 Visa holder can also work in part time and full time job. There is possibility under which the spouses can work in high tech jobs or even at grocery stores. It is entirely dependent of their choice. It allows the US employer to recruit and employ foreign nationals in their company. It provides ample opportunity to foreign workers to work in the nation but the visa has to be sponsored by the employer. The employer has to file a petition to help get the movement to happen. Now, as a layman, you cannot understand the requirements and various visa programs. So, the best way to deal with it would be through immigration consultants. These professionals can help you with the visa choice and they would be able to guide you properly for the movement. The visas that are discussed above is just a part of the process, there are innumerable visas that you can use to move, and only skilled and talented visa consultants can help you with that requirement. How to choose good visa consultants for US? Certification: Whenever you want immigration consultants to help you move to the US, or any other country, the first and foremost thing that you should see is their certification. In the first place, the professional should be certified by the government. There are some of the authorized representatives that can help you in the pursuit of the movement. Lawyers, paralegals, notaries and immigration consultants are the best that you can look forward to for simplifying the movement. But make sure that they are certified. Communication Skills: The experts which you have availed for the movement to the US must have exceptional skills in communicating the details. If the consultants are multilingual, there will be a greater possibility of clarification and communication of information. With a clear hold over multiple languages, you can rightfully say that the immigration consultants will be able to make you understand the situation and realities. You will always like to have such a service provider who has been excellent providing values. You must know about their past, talk to clients whom they have served. This will not be all. You can be the best judge yourself when you quantify their experience, in terms of understanding the scenario and dealing with it rightfully. Once you are able to do all these things, it won’t be a tough job altogether to think about the movement anymore. The immigration consultants of US are always there to help you deal with it. Most of the immigration consultants hide their fees or they don’t show you the real amount. So, you must be aware of all these things even while you figure-out the right amount that they would charge against the services delivered. Sir, I want immigration for US. I am a nurse and having an experience of 15 years. Please help me for this. Thanks for your valuable reply. First, you have to send your updated CV at mustaqali@abhinav.com, if you are eligible than our consular contact with you and give you the all details about US Immigration.